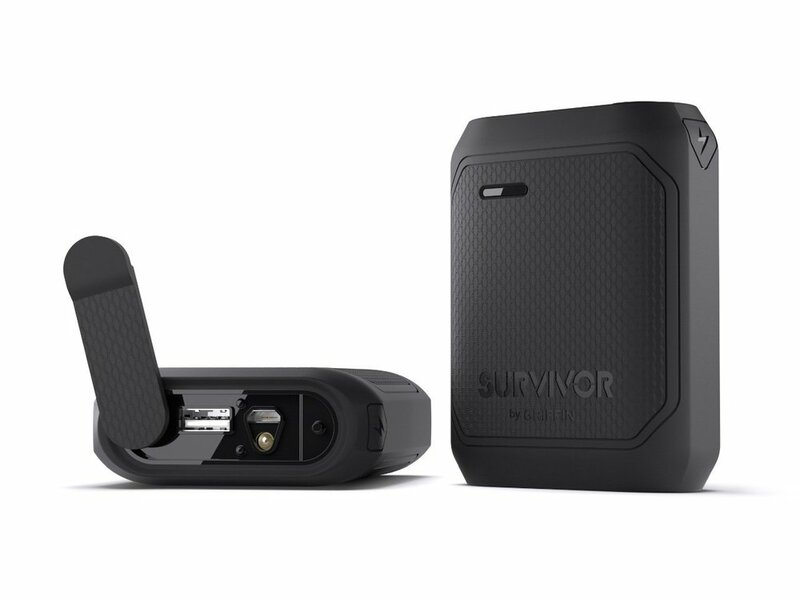 Griffin's new Survivor Power Bank is the company's toughest and most durable portable backup battery pack capable of charging both smartphones and tablets using its internal 10,050 mAh capacity, which can recharge devices such as the iPhone 6s Plus up to three times - while nearly fully charging much larger devices such as the iPad Pro back up to 95%. The Survivor Power Bank features a built-in LED emergency flashlight, and a resilient hard polycarbonate and rubber design that meets military standards for drop, impact, water and dust protection. While it only has a single USB charging port, the Survivor Power Bank is relatively affordable and unlike your smartphone, it's guaranteed by Griffin for life. Sony has unveiled two new portable wireless speakers designed in a variety of eye-catching colors capable of delivering deep and powerful bass notes with rich acoustics despite having a compact form factor. Sony's SRS-XB3 and h.ear go SRS-HG1 offer high-resolution wireless audio streaming, all-day battery life and true stereo sound separation options. ActionProof’s new Bozon Apple Watch charging dock is a quirky little stable stand made out of premium silicone that can charge any 38mm or 42mm Apple Watch (except ones with a Link Bracelet) in both horizontal and vertical orientations, while offering full use of the Digital Crown button for Nightstand mode usage. The Bozon features a discrete cable route that can also let users control the length of the cable coming out of it as it can store excess cable in its dome shaped body. ActionProof's Bozon dock is available now in black for $40. JBL has just unveiled what should be one of the best portable wireless speakers of 2016. The Charge 3 has been given a updated look to coincide with JBL's other portable speaker offerings such as the Flip 3 and Xtreme models and no longer features metal and its design in favor of a more ruggedized rubber and fabric casing that's fully waterproof. The Charge 3 boasts up to 15 hours of battery life (an upgrade over the 12 of the Charge 2+) and promises a more powerful audio experience than its predecessor. Like the Flip 3 and Xtreme, the Charge 3 can also be wirelessly linked up with multiple JBL Connect-enabled speakers for an amplified listening experience while also enabling you to charge external devices using its internal battery power. The Charge 3 will be available this spring for $149.95. Fashionably late to the accessory game as always, Apple has finally gotten around to making an official battery case for the iPhone. It took Apple nearly two years to come up with this rather ugly design for an iPhone battery case. Apple's newly released Smart Battery Case for the iPhone 6s and iPhone 6 is essentially one of Apple's protective Silicone Cases with a battery attached to the back in the form of a raised bump. Not exactly what you would expect from Apple's sleek design prowess isn't it.